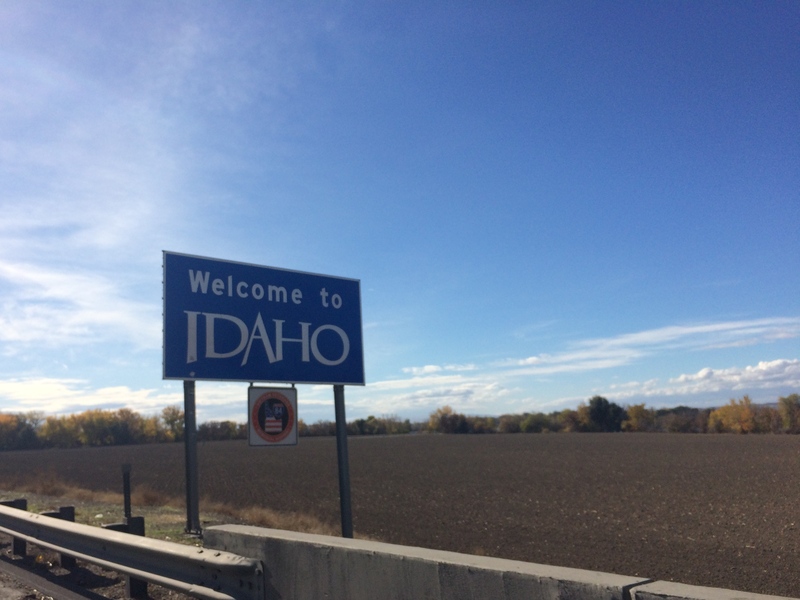 Even though I’ve never spent any time in Idaho, I always thought Idaho was flat and boring, perhaps because I’m the typical Californian who confuses Idaho with Iowa. Well, I was wrong! With its notoriously beautiful neighbors of Washington, Oregon, Montana, Wyoming, and Utah, I should have assumed that Idaho would also be full of BLM land, mountains, and wilderness (Idaho is actually the state with the highest percentage of wilderness in the lower 48 states). There is more than just potatoes! After our 6-week roadtrip around the Pacific Northwest ended with Hells Canyon, we beelined it for Boise, Idaho en route to Utah. I discovered at the last minute that the Ontario Visitor Center in Oregon, right at the Oregon/Utah border, allowed overnights in their parking lot. They also had free wifi. YAY! Feeling refreshed the next morning after the long, windy drive along the Snake River, we drove into Boise to figure out where we would go next. Of course, there was no free camping in Boise, Idaho’s largest city and capital with just less than a quarter million people. 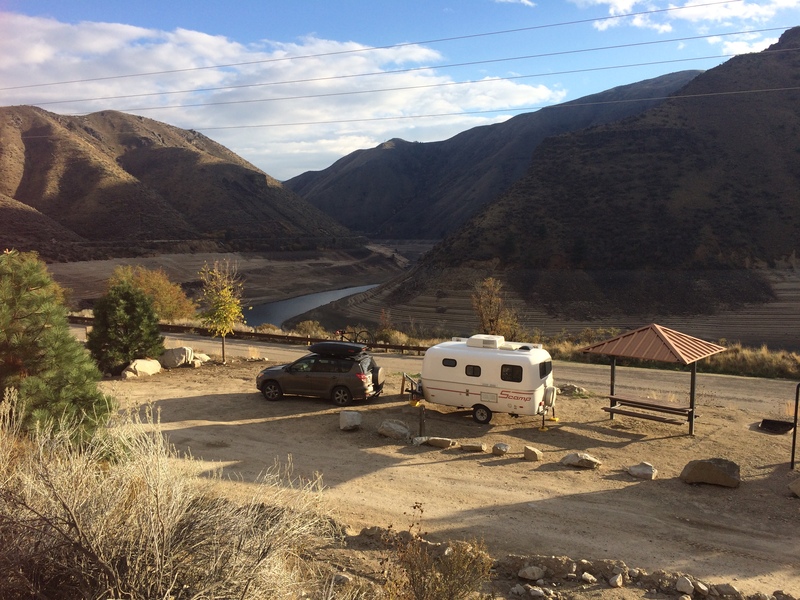 However, I read that there were several dispersed camping areas along the Lucky Peak Reservoir at Lucky Peak State Park, a favorite of Boise locals and only a 20-30 minute drive away. So off we went. We didn’t have to go far along the reservoir before we stumbled upon Macks Creek Park, a campground and park run by the U.S. Army Corps of Engineers. I could tell it was a popular spot in the summer, but post September 15, the whole area was first-come, first-served, and free to use. Sadly, the north-western drought hit Idaho pretty hard too. Look at how incredibly low the lake level was! Upon research I learned that the reservoir had been draining since 2012 in order to supply local farmers with water for their irrigation systems. Other neighboring reservoirs had already been drained and the Lucky Peak Reservoir was the final resort. Yikes. Still, it was beautiful and I managed to take a somewhat worthy photo during a bike ride along the reservoir. After Lucky Peak, we continued southeast to Mountain Home which would be the base for venturing into the unincorporated community of Bruneau. The two prides of Bruneau are the sand dunes in Bruneau State Park and the much lesser known and hidden Bruneau Canyon. 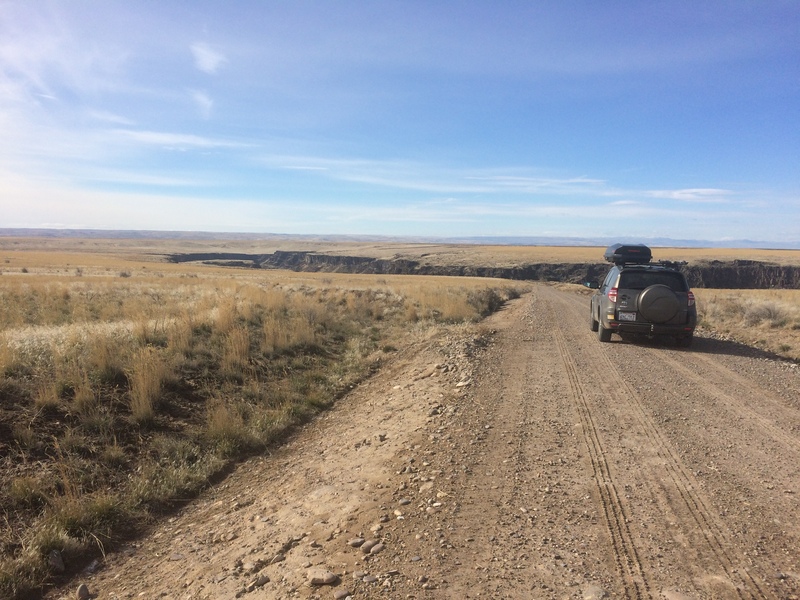 I quickly drove through Bruneau Dunes State Park and wasn’t at all impressed with the sand dunes, so I’m leaving that out in this post. Bruneau Canyon, on the other hand, was literally in the middle of nowhere on BLM land. Simply getting to the overlook, which is the only accessible spot to view the canyon, required a bit of a drive (~18 miles of paved road from Mountain Home, and an additional 17 miles or so of paved and gravel roads to the overlook), patience, and properly reading signs. A lot of flat farmland driving. Moo. 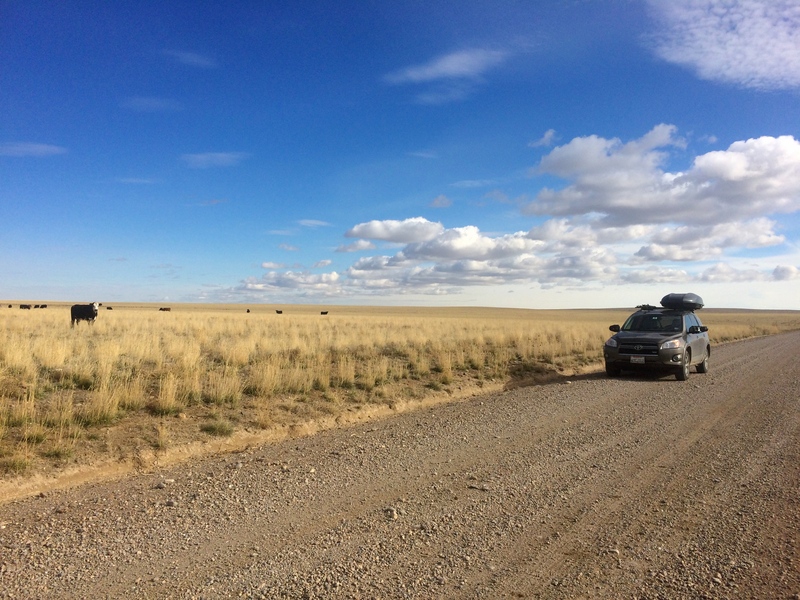 As I drove toward the overlook, I was amazed at what came into view after miles and miles of flat land. The views from the overlook were incredible, but my favorite view was from a stroll further down along the rim. Other than this epic view, the entire area was remote and barren…definitely an off-the-beaten-path site in an off-the-beaten-path state. Hiking was out of the question because a high-clearance vehicle was required to get to trailheads. There were no picnic tables or outhouses, and there wasn’t much of a fence or barricade at the overlook (note: bad place for kids!). I was literally the only person there. The most use locals get out of this 60-mile long canyon is below in the Bruneau River, the prime spot for advanced white water rafting. 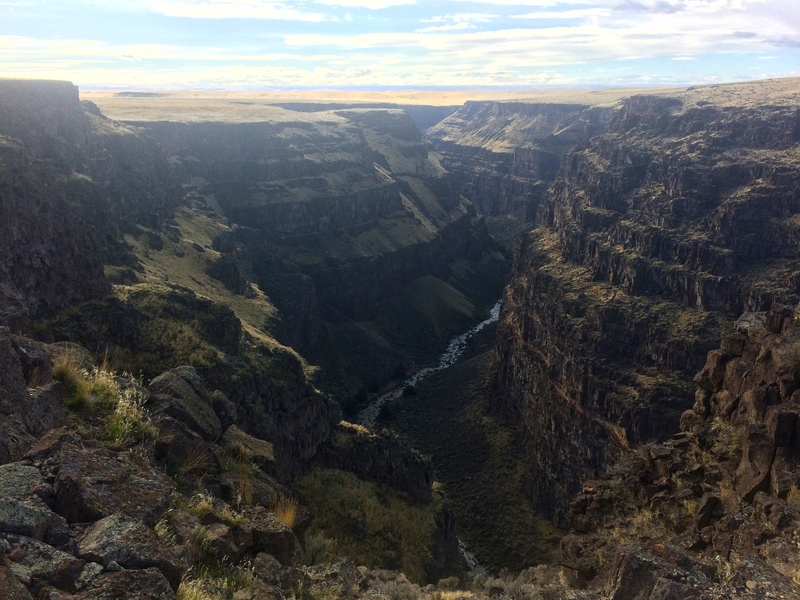 My visit to the canyon overlook was brief–no rafting or hiking for me! My first couple days in Idaho were off to a good start. Canyons and reservoirs? I’ll take it! Considering we weren’t planning on spending a considerable amount of time in Idaho, I didn’t think we’d see much. But Idaho had more to offer than I expected, especially as we homed in on Utah. 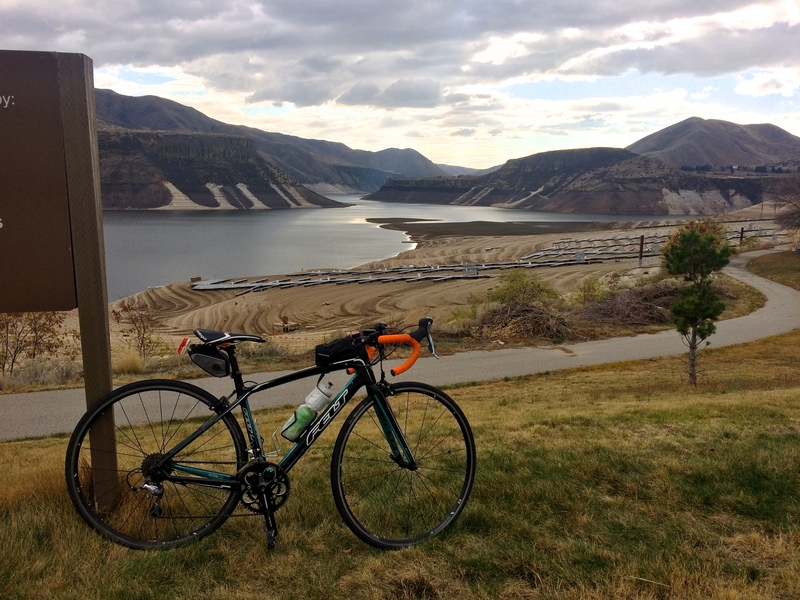 This entry was posted in Idaho and tagged bruneau canyon, lucky peak state park. Bookmark the permalink.